The NEWFORESTS exchange program brings together researchers from 5 research institutions: two from public research centres in Spain, Forest Sciences Centre of Catalonia (CTFC) and Centre for Ecological Research and Forestry Applications (CREAF), one French institution, Bio-Archaeology and Ecology Centre (CBAE), and two Canadian Universities (University of Quebec in Montreal, UQAM, and in Abitibi-Témiscamingue, UQAT) hosting two of the main hubs of the Centre for Forest Research (CEF). Previous and continued research cooperation between the research centres involved in the current project has been developing during the last 10 years, as several joint publications, projects and exchanges demonstrate. 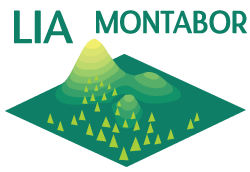 On the one hand, the international laboratory LIA MONTABOR between the CMEB and the CEF works towards the understanding of the past, presentand future of boreal and mountain forests. On the other hand, the collaboration protocol between the CTFC, the CREAF and the CEF was conceived as a first step in the search of a lasting cooperation between partners. Moreover, during the recent VII meeting of the Quebec–Catalunya Cooperation Mixed Committee (Barcelona, 2012), collaboration between the CTFC, the CREAF and the CEF was settled as a priority sector between both governments. The present IRSES project aims to generate a basis for sustainable cooperation even after the project duration, principally by two different but complementing strategies. The two Spanish research centres are part of the network of excellence of Catalonia research centres (CERCA, www.cerca.cat) and together represent one of the largest pole of forest related research in Southern Europe. Both Spanish representatives participate or have taken part in several international and local networks of researchers on global change (Cost actions, GDRE (European Research Group) “Mediterranean and mountain ecosystems in a changing world” among CREAF, UAB, UB and the French CNRS), including a wide representation of large scale, forestry (EUFIRELAB, MOTIVE, STARTREE,) and environment (LUCIFER, EPIDEMIE, VULCAN, CARBOINVENT) and biodiversity related FP7 projects (ATEAM, ALARM, SCALES, EUBON).